Give yourself a round of applause when you invest in this fun promotion for your next event! 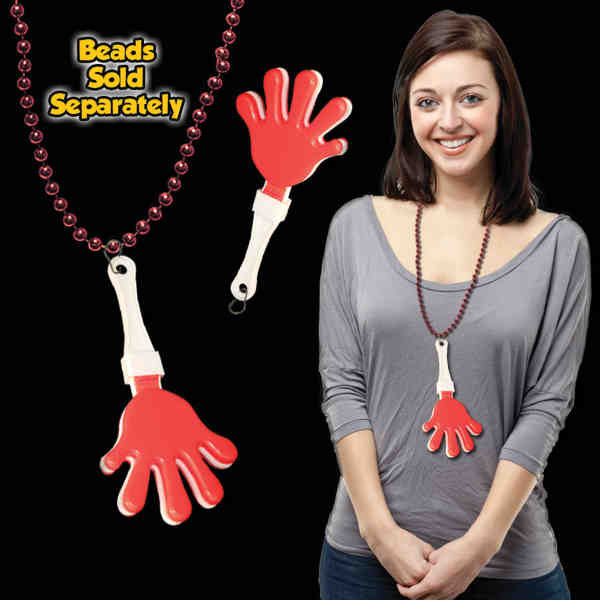 Measuring 7", these red and white colored hand clappers are made of high-quality plastic and come with a j-hook to attach to beads or a lanyard (not included). This noisemaker is an ideal choice for sporting events, party favors, tradeshow giveaways, children's events and much more! Wherever they are featured, your brand will be on full display as we offer pad print imprinting. Get a helping hand toward success from your advertising items!